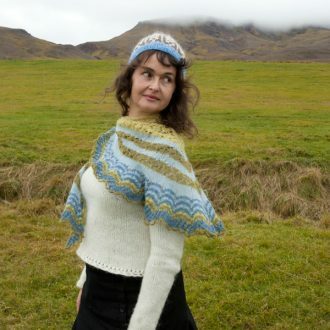 This lovely lace shawl designed by Hélène Magnússon with the colors of spring retains the main characteristics of the traditional Icelandic lace shawls: the very popular spider lace, undulating striped patterns, a lacy edge and a boomerang shape but here very accentuated making the shawl sit beautifully around the shoulders. 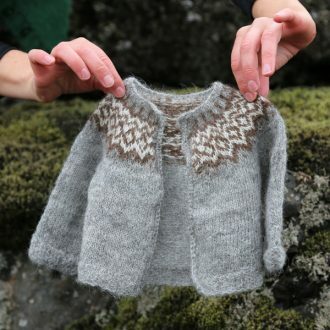 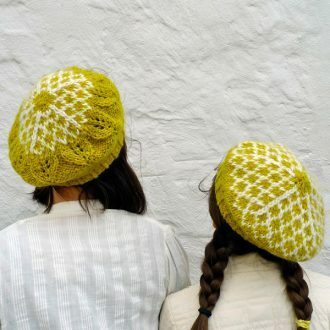 Knitted from the top down on big needles and stretched extensively, thanks to Icelandic wool, it’s a rather quick knit and much easier than it seems! Have fun with the colors and join the growing group of Spring shawl serial knitters! 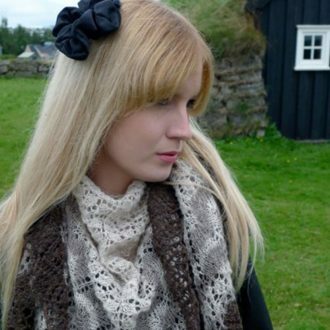 One year later, it’s spring again… and it’s raining! 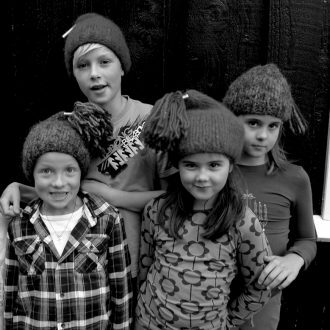 Raining so much that’s it’s muddy! 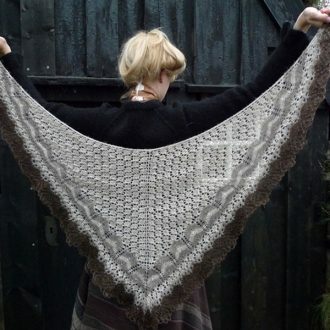 The new color combinations “It”s raining” (grey, blue, black) and “It’s muddy!” (browns, beige and a tiny bit of green) and the “Love” variation using cobweb Love Story yarn, illustrate how colors and their arrangement can dramatically change the allure of a shawl! 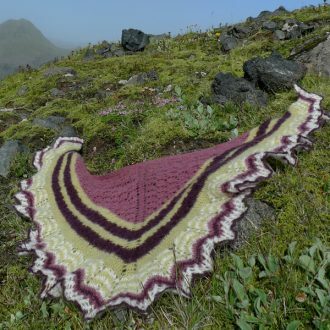 And in 2014, of course I have to knit the shawl using my own Icelandic plied lace yarn: knitted with 4 colors, the Spring shawl shows yet another facet! 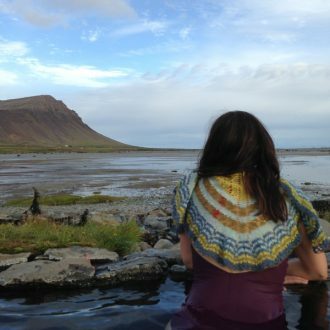 Hélène Magnússon likes to put a new spin on old Icelandic knitting traditions. 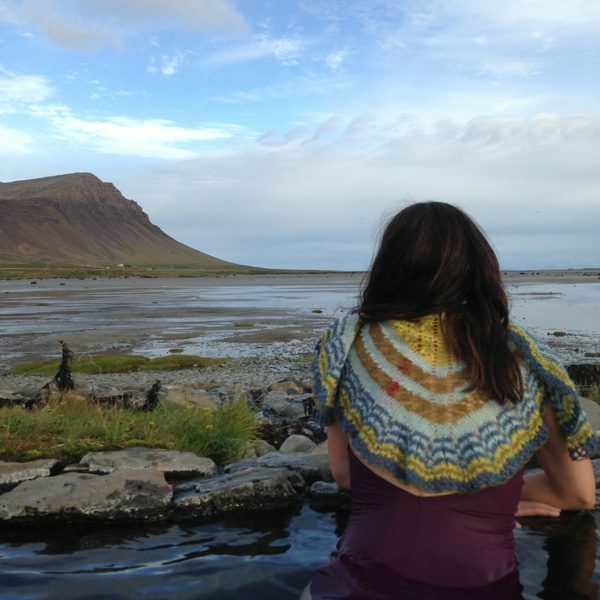 She enjoys designs with strong ties to Iceland and that tell a story. 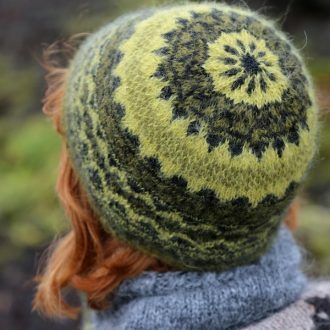 She is best known for her research into the traditional Icelandic intarsia that was mostly seen in knitted insoles in the past centuries. 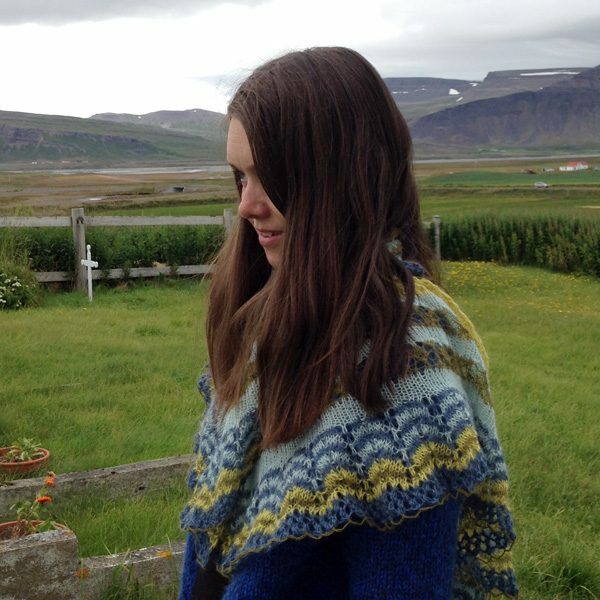 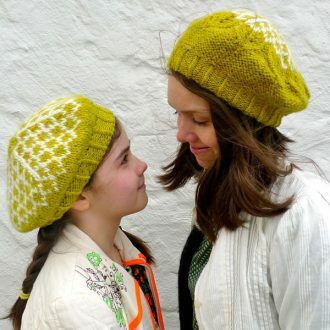 Her book, Icelandic knitting: using Rose Patterns is available in three languages. 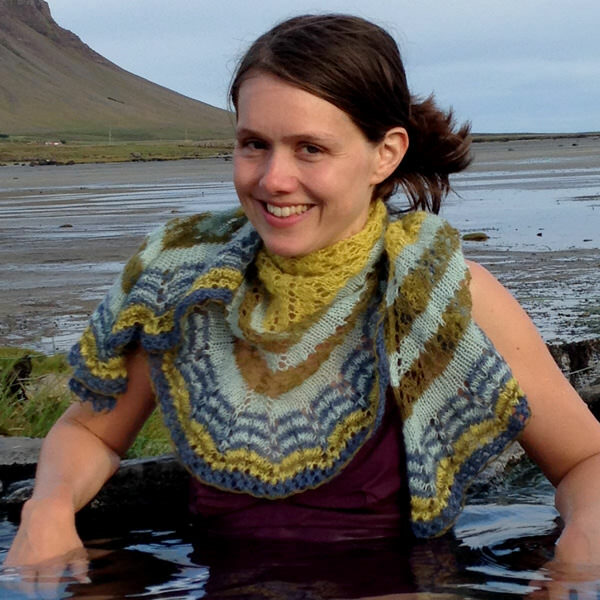 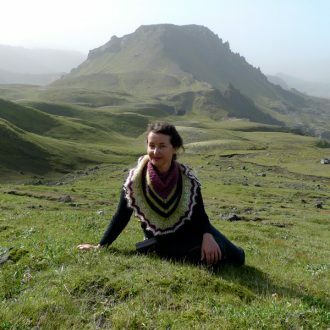 She is a French native but a true Icelandic knitter and has an Icelandic family. 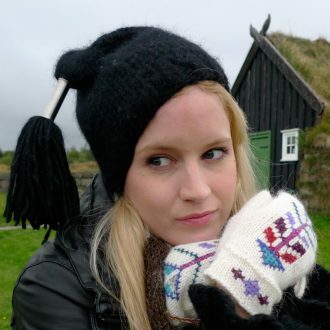 Hélène abandoned a law career in Paris for the love of Icelandic nature. She worked as a mountain guide for many years in Iceland and studied textile and fashion design at the Iceland Academy of the Arts. 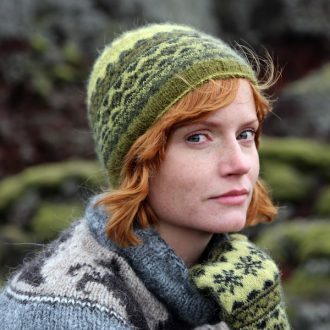 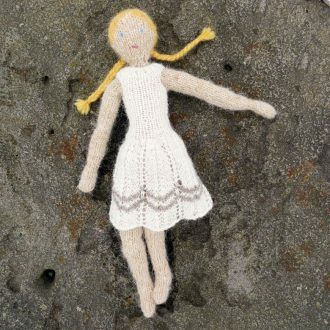 She is the head and designer behind The Icelandic Knitter. Gauge: 10×10 cm / 4”x 4” = 16 sts x 22 rows in stocking st on needles 5 mm. 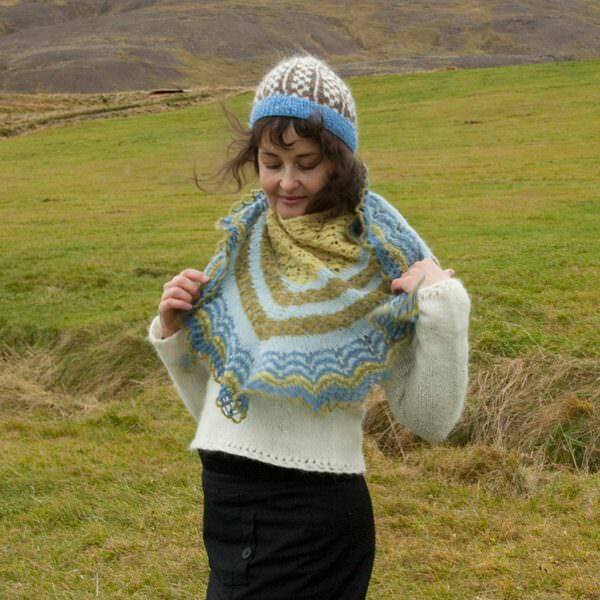 Gauge is not essential but you may run short of yarn if your gauge is too loose. 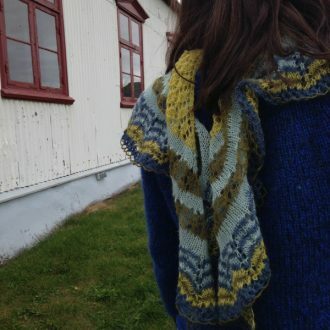 Kit: includes the yarn and material. 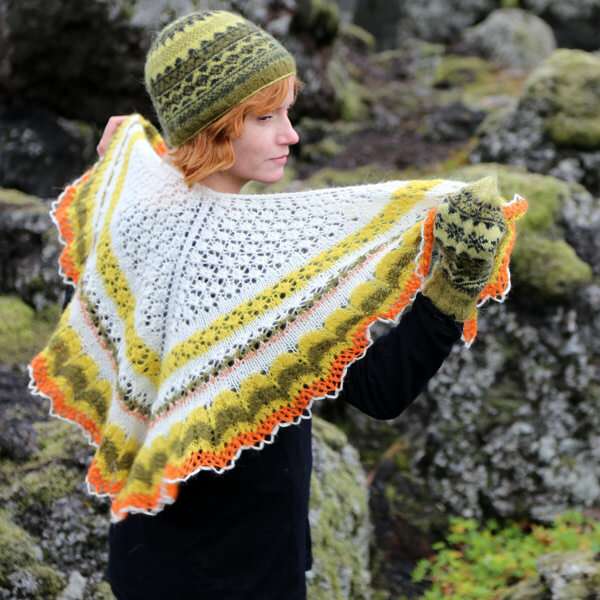 Kit doesn’t include the needles and notions. Shipping costs are not included in the price. 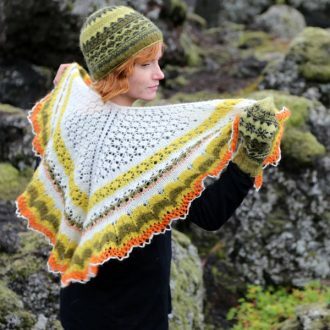 Pattern is not included and has to be purchased separately. 24.04.2012: instructions for color combinations “It’s raining” and “It’s muddy” and “Love” variation added to the pattern.